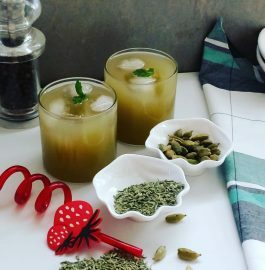 Muskmelon Mocktail is completely delicious mocktail with many health benefits. 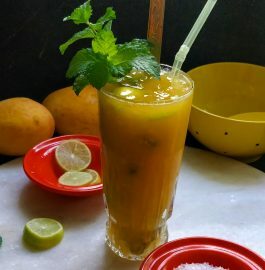 Muskmelon Mocktail is a super refreshing and has amazing taste. 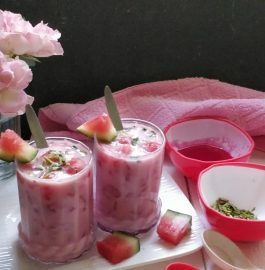 This very quick summer drink is perfect to cool your body. 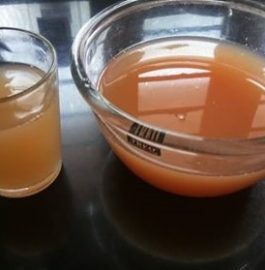 Rose syrup added to the drink gives nice aroma and taste. Muskmelons have vital nutrients and lots of water. It has lots of fibre and is an antioxidant too. And in the summer season, one should eat these types (melons) of fruit. 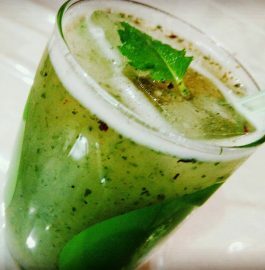 This will keep you hydrated and refresh. 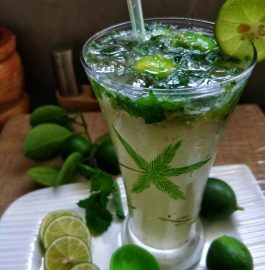 By making this drink/mocktail we will be having taste as well as benefits of the fruit. 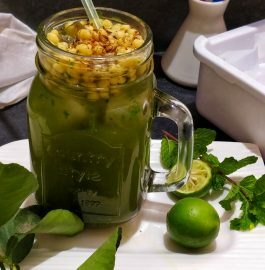 So, try to make this drink at home and enjoy with family members. 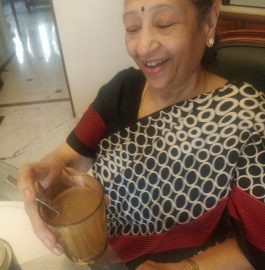 You can adjust the sugar as per your taste and requirement. Use drinking soda or soda water if you want. You can add little water while grinding the muskmelon. 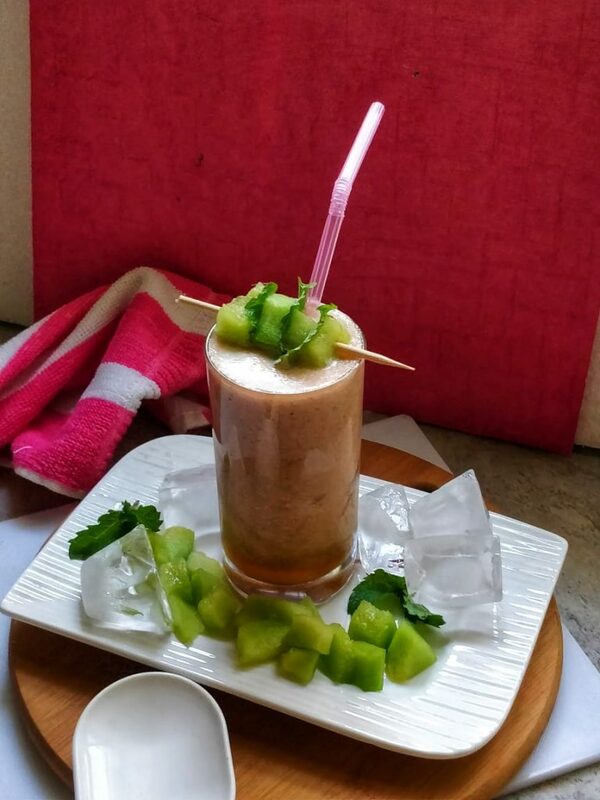 Take a blender jar and add chopped muskmelon, mint leaves, ginger, sugar, rose syrup. 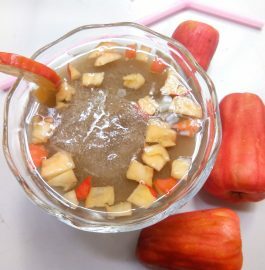 Blend it to make fine puree. Add lemon juice to the blender jar and blend it again. 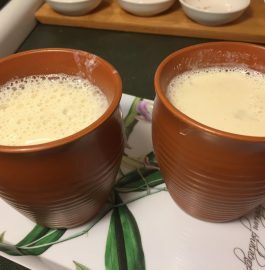 Now, take a serving glass. Add ice cubes then pour the puree. 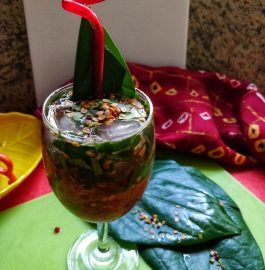 Garnish it with chopped muskmelon and mint leaves. 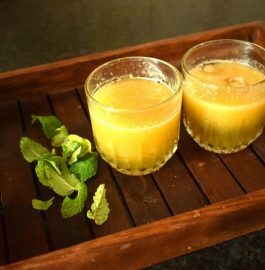 Delicious 'Muskmelon Mocktail' is ready to be served.